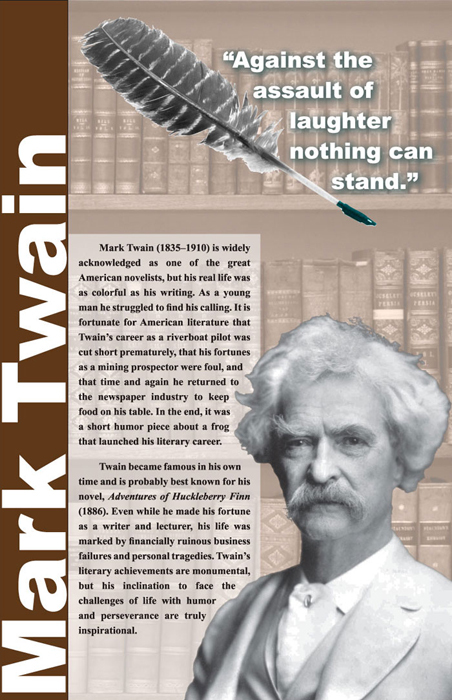 The Mark Twain poster began as a school assignment to make a poster that would go in a library. We were limited with specific design restrictions around word count, number of images, and color palette. I like this work because it could easily be expanded into a series of similar posters and it represents finding an interesting solution within narrow boundaries. This project utilized Adobe Photoshop and InDesign.